Once again, we get out the bike pump and re-inflate this occasional feature. 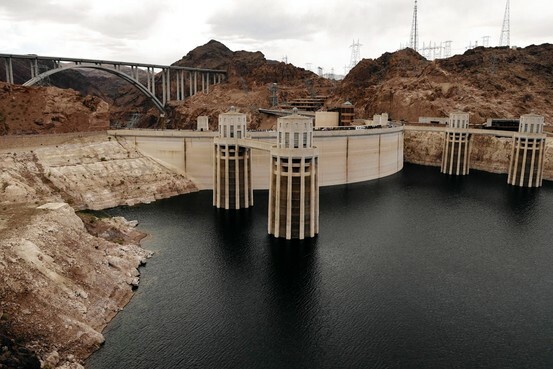 If you're interested in doom or impending collapse, you got your nickel's worth this week. Trump tweets, knowing that the media leaps to follow like Pavlov's dogs to the bell. In this way he controls the news cycle and accomplishes two important objectives: to constantly feed red meat to his base, who must be kept in high dudgeon in order to maintain his approval ratings above 30 per cent. (Never forget that Nixon still maintained a 28% approval rating when he stepped onto the helicopter, and into richly deserved but only temporary shame.) This has been Trump's strategy since the beginning, evident and plain to see, and a look at polls illustrates that it works. This artificially high approval rating is ably assisted by the crew at FOX News, almost all of whom seem to have signed onto the white nationalist agenda. It is what it is. And while the media rushes to cover the fresh tweeted outrages, the real business of this administration occurs mentioned only on the back pages, if at all. Remember Steve Bannon's desire to "deconstruct the administrative state?" Bannon may be gone, but the agenda remains, and you can see it enacted every week if you look beyond the headlines and the contrived cable news panels. Trump tweets because it works. It really is that simple. The big news this week was that Trump "canceled" the pending summit with North Korea. What is truly amusing is that there're actually people who believe the summit was actually going to happen. Many of them were in a recent Trump "campaign rally,"(read yet another fund raiser to pay legal fees) and were heard chanting,"Nobel! Nobel!" The Washington Post's article got the high points. President Trump’s abrupt decision Thursday to abort a summit next month with North Korean leader Kim Jong Un left the White House scrambling to explain the outcome to allies amid fears that the collapse of talks would mean a return to heightened tensions between nuclear powers in East Asia. Ostensibly, Trump's purpose was to teach the younger man something about the "real balance of power" on the Korean Peninsula. The entire notion of the summit came about because Trump, who mightily believes in playing from his gut, blew through all the warning signs offered by aids and advisers. Trump rushed headlong into the summit process, ignoring warnings that North Korea has long been an unreliable negotiating partner. TOKYO — North Korea claimed Thursday it destroyed its key nuclear weapons testing site, setting off explosions to collapse underground tunnels hours before President Trump called off a planned June 12 summit with North Korean leader Kim Jong Un. The North had used the site, tucked into a remote, mountainous area, to detonate six increasingly large nuclear bombs over 11 years. The apparent demolition was widely seen as a diplomatic gesture toward Washington, even as it remained unclear whether the made-for-TV blasts marked any significant change in the North’s nuclear capabilities. At a subsequent White House briefing an anonymous source revealed on background that negotiations continued, and the summit might be on again. Trump fumed and fulminated otherwise. Trump grabbed his cell phone with his famously small hands, and tweeted out this was not so, and the "failing New York Times" was manufacturing sources. Facts dictte otherwise. In other news, 35% of the population doesn't know or care. Meanwhile, as Trump spluttered and Tweeted, back in Korea the leaders of North and South Korea held their own surprise meeting Saturday. One wonders what Bolton made of the news. The two "exchanged opinions" on several things successfully carrying out a future US-North Korea summit, according to a released statement. 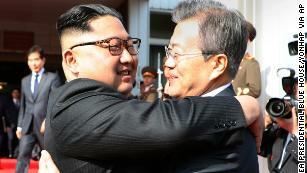 It was said Moon would announce the result of his meeting with Kim on Sunday morning local time, according to the South Korean statement. The report went on to say that Moon called for an emergency meeting with Kim in the middle of the night after Trump called off the June summit. In canceling, Trump cited hostile comments from top North Korean officials, including that a North Korean Foreign Ministry official called Vice President Mike Pence a "political dummy" Clearly, the North Koreans have not the lesson learned by all mass media in the United States: that under no circumstances may you ever utter the actual, unvarnished truth about an American political figure, especially a Republican. On Wednesday, the owners of teams in the National Football League, as lily-white, male, and privileged a group as ever occupied a luxury box, took an action more craven than any before, which is saying a lot. They voted to mandate a new national anthem policy that requires players to stand if they are on the field during the performance, but gives them the option to remain in the locker room. The owners may think that they are "getting out in front" of this issue, but they are trailing well behind, especially in the court of public opinion. But the truth is they are terrified of Trump and the effect he can have on their precious bottom-lines. There's reportedly one big reason why the NFL took sweeping action Wednesday in adopting a new national anthem policy prior to the start of the 2018 season. And he resides at 1600 Pennsylvania Ave. in Washington. “Our league is f—–g terrified of Trump. We're scared of him,” one unnamed source told Bleacher Report as reaction to the plan poured in. Which is just the way Trump likes it. Like any bully. Trump came out in support of the NFL’s decision Thursday and blasted players who kneel during the anthem. NFLPA executive director DeMaurice Smith reacted with displeasure in a series of tweets Wednesday. "History has taught us that both patriotism and protest are like water; if the force is strong enough it cannot be suppressed. Today, the CEO's of the NFL created a rule that people who hate autocracies should reject," Smith tweeted. "Management has chosen to quash the same freedom of speech that protects someone who wants to salute the flag in an effort to prevent someone who does not wish to do so. The sad irony of this rule is that anyone who wants to express their patriotism is subject to the whim of a person who calls himself an "Owner." I think it’s just typical of the NFL. They’re just playing to their fan base and they’re basically trying to use the anthem as fake patriotism, nationalism, scaring people. It’s idiotic, but that’s how the NFL has handled their business. 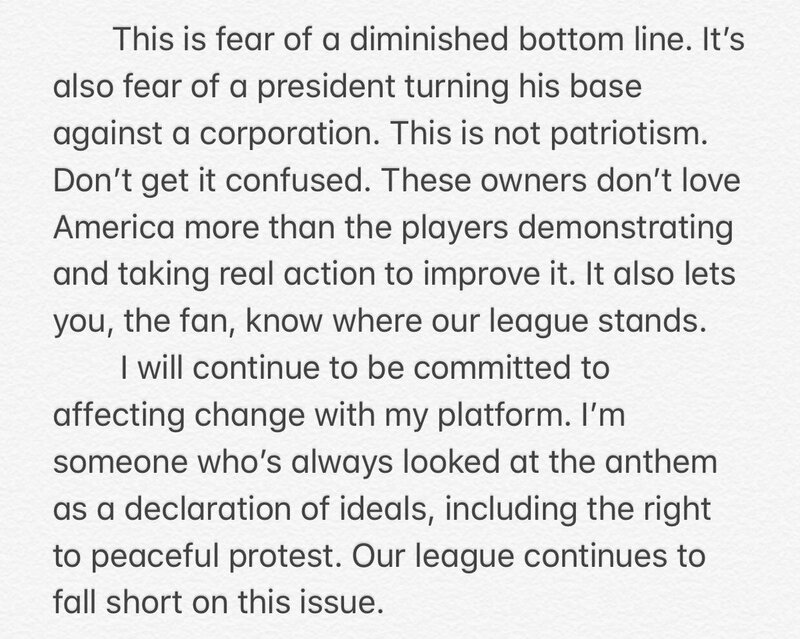 I’m proud to be in a league that understands patriotism in America is about free speech and about peacefully protesting. I think our leadership in the NBA understands when the NFL players were kneeling, they were kneeling to protest police brutality, to protest racial inequality. They weren’t disrespecting the flag or the military, but our president decided to make it about that. That NFL followed suit, pandered to their fan base, created this hysteria. This is kind of what’s wrong with our country right now. People in high places are trying to divide us, divide loyalties, make this about the flag, as if the flag is something other than what it really is. It’s a representation of what we’re really about, which is diversity, and peaceful protest and right to free speech. The owners may think that by taking this action, they have put this issue to bed. I am willing to bet (now legal, thanks to the Gorsuch Supreme Court) that this issue will flame up again once the season starts. Another example of how Trump is remaking this country in his own image. For the first time, the Dutch-led team said the missile had come from a unit based in western Russia. All 298 people on board the Boeing 777 died when it broke apart in mid-air flying from Amsterdam to Kuala Lumpur. 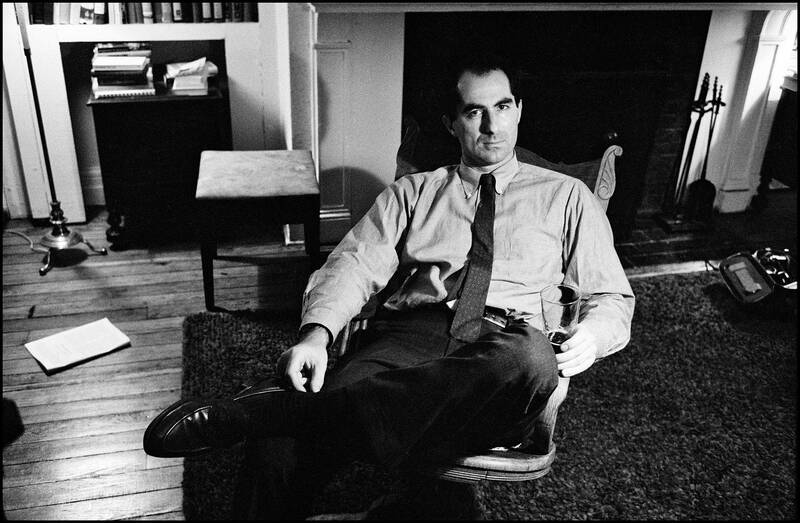 Author Philip Roth, who tackled self-perception, sexual freedom, his own Jewish identity and the conflict between modern and traditional morals through novels that he once described as "hypothetical autobiographies," has died. He was 85. Roth was one of America's preeminent 20th century novelists in a career that began in the 1950s and continued up until nearly the end of his life, resulting in more than 30 novels and short-story collections over seven decades. His work persistently blurred the lines between fiction and memoir, and often left readers both smitten and outraged… There is a good Vanity Fair article on Roth here. Surly1 is an administrator and contributing author to Doomstead Diner. He is the author of numerous rants, screeds and spittle-flecked invective here and elsewhere, and was active in the Occupy movement. He lives in Southeastern Virginia with his wife Contrary and will have failed if not prominently featured on an enemies list compiled by the current administration.